Sea salt is an excellent preservative, but may change the color of canned food. 1 Why Did My Pickles Turn Cloudy? 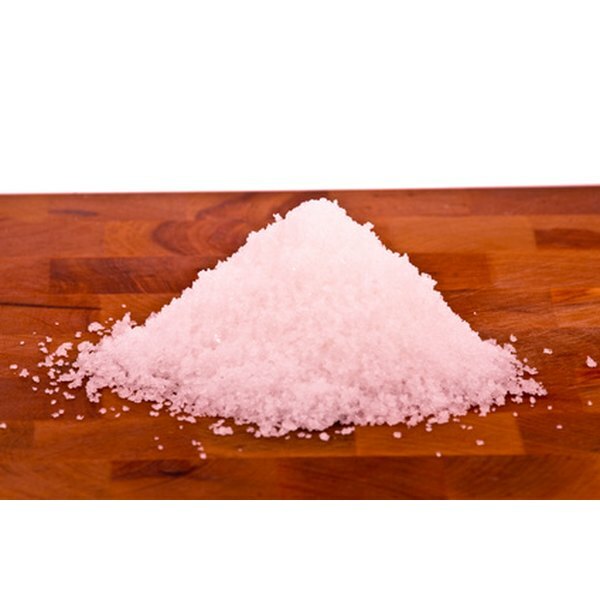 Sea salt has been used as a preservative for millennia by many cultures. When water is removed from the ocean and the water is evaporated from it, the natural salt produced by the ocean has a rich flavor and is perfect for making a brine to preserve foods for long periods of time. Most canning recipes call for table salt, which has additives for non-caking. Most cooks, however, argue for the taste of sea salt, which is mellower than regular salt. Grind the large particles of sea salt in the food processor until they reach the same size as particles of table or canning salt. This allows the salt to be measured correctly for the recipe. Substitute sea salt for canning salt in a ratio of one to one. Dissolve the salt, and vinegar if called for, in water according to the recipe. Pickle or store the vegetables in the brine as they are called for in the recipe. 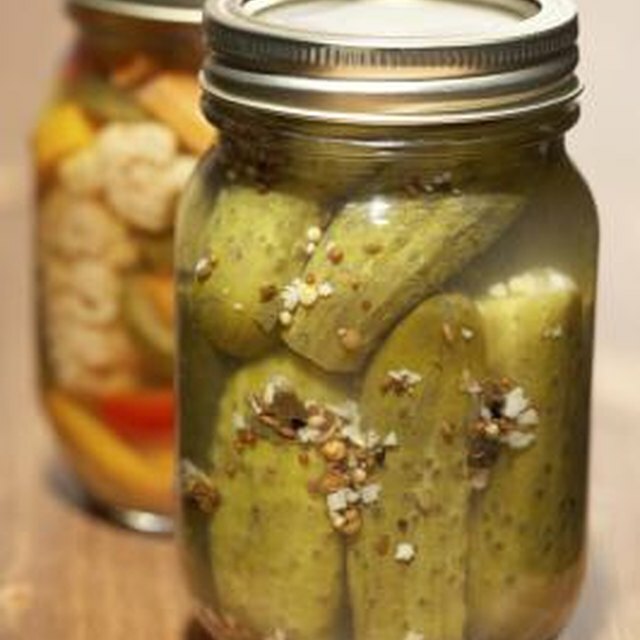 Can the jars with the brine and vegetables, and pickle or ferment them according to the recipe. Check the jars continuously to ensure no undesirable cloudiness occurs. This does not change the taste of the food, but can make it appear unpalatable. Note which recipes are the most affected by the addition of sea salt instead of canning salt, and whether the changes are desirable. If not, use regular canning salt instead of sea salt in the future. Be aware that sea salt can discolor foods when it is used for canning because of its mineral content. Mid-Region Council of Governments of New Mexico: It’s Time for Preserving!! !